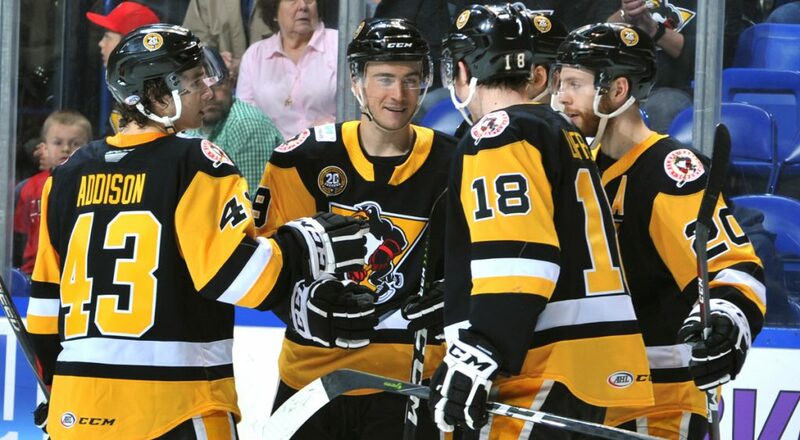 WILKES-BARRE, Pa. – The Wilkes-Barre/Scranton Penguins rode an impressive offensive performance to a 5-1 win against the Syracuse Crunch at Onondaga County War Memorial Arena on Friday night. 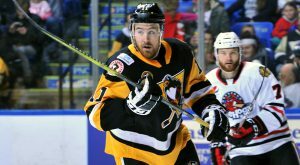 Hobey Baker finalist Zach Aston-Reese continued to impress early on in his pro career, as he notched a goal and an assist in his second pro game while the Penguins (44-18-3-0) kicked off their three-in-three weekend on a high note. Thomas Di Pauli scored his second career goal to open the scoring, giving the Penguins an early 1-0 lead only 5:22 into the contest. Wilkes-Barre/Scranton continued to go to work as Kevin Porter and Aston-Reese set one another up for back-to-back goals one shift apart, making it 3-0. Syracuse goalie Kristers Gudļevskis saw his night end before the 15-minute mark and was replaced by Mike McKenna. Syracuse eventually got on the board with a shorthanded tally by Michaël Bournival on a two-on-none rush with Cory Conacher with 3:44 remaining in the first. The Penguins reestablished their three-goal edge 1:09 into the middle frame. A blue line blast from Barry Goers went past a screen and then McKenna, making it 4-1. Another early period goal at the start of the third period made it 5-1 when Dominik Simon tapped in his 13th goal of the year after a cross-crease pass from Ryan Haggerty. In addition to a runaway victory for the road team, the game devolved into a penalty-filled contest by the end of regulation, too. The two clubs combined for 13 power plays and 40 total penalty minutes, but 32 of those PIMs came after the midway point of the game. 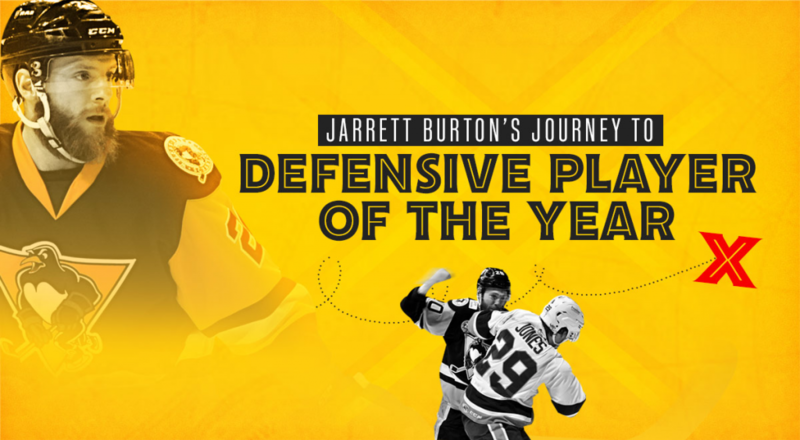 Tristan Jarry was spectacular once again in net for the Penguins as he made 27 saves on 28 shots for his 26th win on the year, tying him for the league lead. McKenna made 23 saves on 25 shots in his relief stint after Gudļevskis allowed three goals on seven shots. 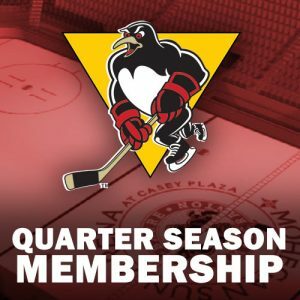 Wilkes-Barre/Scranton’s next game is tomorrow, Saturday, Mar. 24, when it takes on the Lehigh Valley Phantoms at PPL Center. 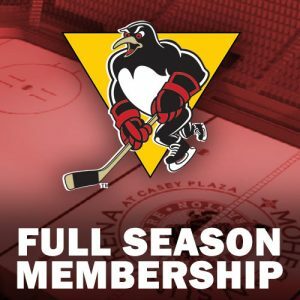 The Penguins’ next home showing is on Sunday, Mar. 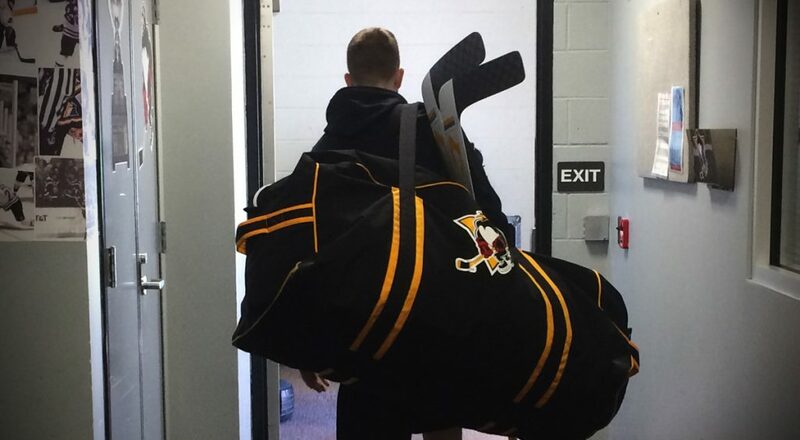 26 when they take on the Utica Comets for a 3:00 p.m. Sunday matinée and Kids Get In Free game. 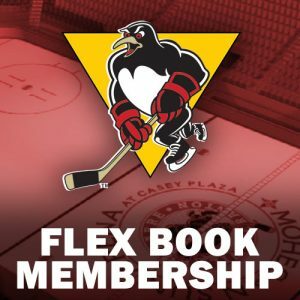 Penguins ticket packages, including 10-voucher flex packs, are available directly through the Penguins offices by calling (570) 208-7367.